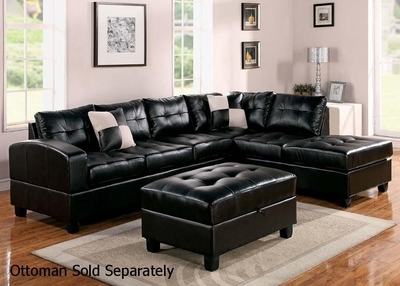 The 51195 Espresso Sectional Sofa by Acme Furniture is functional and comfortable. Add some colorful throw pillows and blankets to spice up your room. The easy to clean bonded leather material is ideal for small children or entertainers. The dark espresso will match perfectly with light and dark colors. Enjoy this large sectional sofa in your home tonight!